We’re reading and performing the play Hamlet together as a class, and many of you are doing a wonderful job of injecting some personality and character into your performances of your roles, versus simply reading out lines. It’s important, too, to watch it performed by actors who have studied it and have their own interpretations of how the characters would behave. 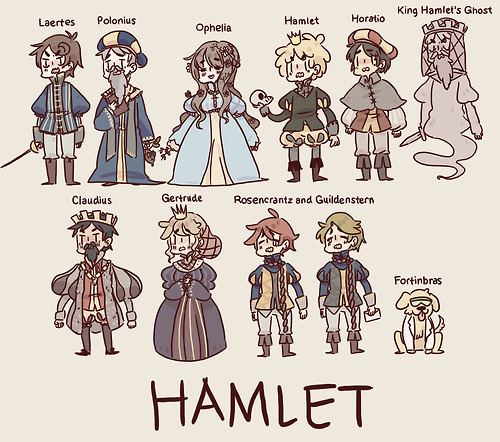 Remember, Hamlet is meant to be viewed as a live performance. They are of different lengths, so if you choose one that’s longer, you may be committing to finishing viewing it at home on your own personal time. It also might be that you would enjoy the longer one more, so it’s worth that extra commitment to you. The play was intended to be performed live. Watching the live performance may seem more authentic to how it would have been originally received in Shakespeare’s time. And Benedict Cumberbatch is a pretty animated looking Hamlet. You may prefer one actor over another. Kenneth Branagh and Mel Gibson are both well known for their portrayals of Hamlet, though one happens in a more recent modern setting and the other happens in a more medieval castle type setting. Lots will go into your choice. Enjoy, though! This should only reinforce what we’ve already been reading together of the play. And note: I’m encouraging you to watch in your video choice only as far as we have currently read. If you watch beyond that, you’ll still follow along with us in our performance of the play in class. 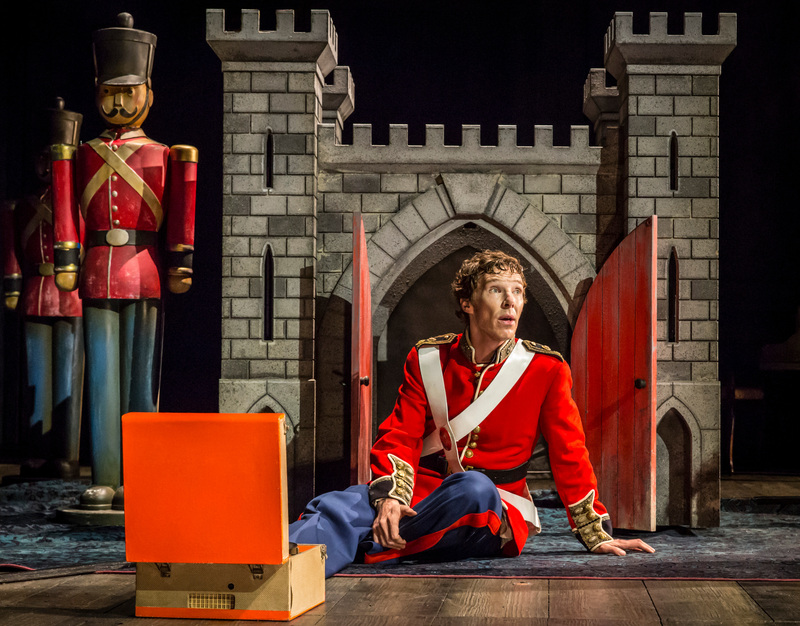 Performed January 2017 – Benedict Cumberbatch as Hamlet, performed on stage in front of live audience but with moving cameras. This is a great production to watch, because you can hear the audience laugh during the comedy lines. It was recorded and broadcast to Movie Theaters across the UK. Studying any Shakespeare text is a challenging task. The texts were written 400 years ago in a different time, different culture, with different gender roles and a different context. For us, it isn’t that we try and are able to read the original or modern translation of the text on a first try; for us, it’s more important that we understand the storyline and the different connections we can make between the play and our own world and lives. For that reason, you’re going to “get to know” Shakespeare and the play of Hamlet before we read it. Understanding the basics of plot and expectations of Shakespeare plays in advance will make reading through the play go much easier and our conversations can be of a deeper topic, like motivations of characters, development of conflicts, and more. With a partner or on you own, do some online research and learn about each of the following elements of the writing/author listed below. You’re expected to write out by hand what information you find and collect from online, since handwriting leads to longer-lasting memories and understanding. Why is he still so popular in modern times and today? How is he represented by our mass media? Why is he still taught in schools, when there are so many other great authors and texts that have been developed in the last 400 years? Are William’s stories original or copies of other people’s existing stories? Most significant/unique features of his writing? What is the format of a Shakespeare drama – a five act play? Was Shakespeare a single person? What evidence is there that he was multiple people? Even in the tragedy plays, like Hamlet, there is always a comedy element. What is the purpose for this? What was believed at the time, 400 years ago, of ghosts and their use in plays? What did they represent? What interesting facts or trivia can you find of this play? This play is a classic Elizabethan Tragedy Play – what are the characteristics of this? What two family groups are there in the play? What characters are neutral – loyal to both sides of the family feud? Who are the main characters? Secondary characters? Are there any archetype or stock characters in this film? Identify a few. What makes a tragic hero? How are women typically represented in Shakespeare’s plays? How do they typically die and what does that say of how they were considered at the time? What was the purpose or role of “madness” used in Shakespeare’s plays? What themes exist in the play? Develop five questions you are left with now that you hope to have answered by the time we’ve performed and read the play. 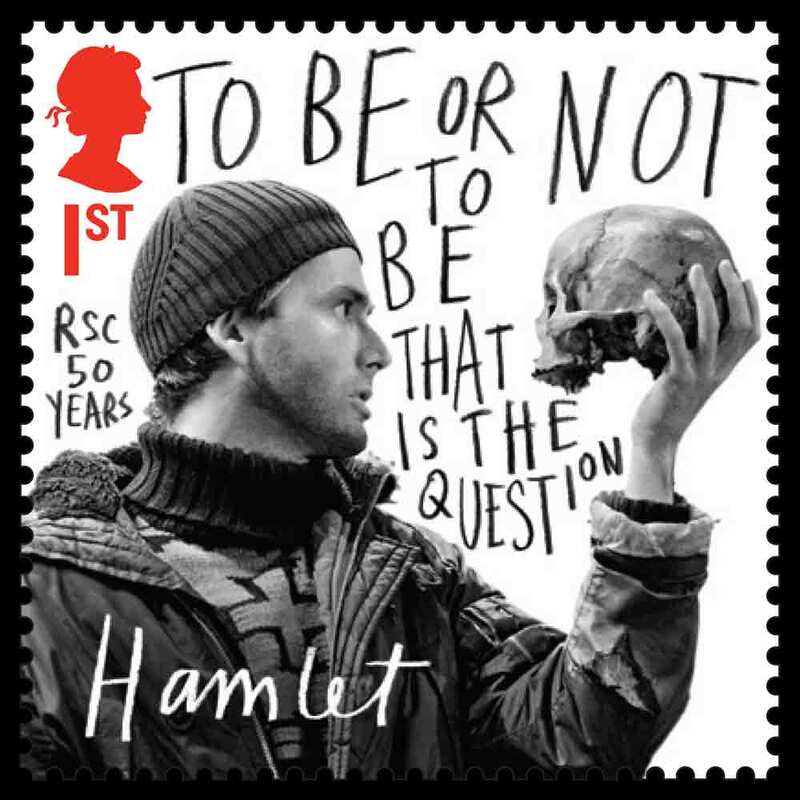 Ap21/16 Our Pre-Reading Discussion of Hamlet Topics – for Ruby who was missing! Before we dig into reading this great play, you did some online research to develop a pretty thorough understanding of the background, characters, plot events and other elements included in this play. Why did you do that? Because being able to understand 450 year old literature isn’t as important as being able to understand the plot elements and deeper concepts within the story itself. The following recordings are for Ruby – it’s our review and discussion of what was found in this pre-reading inquiry searching. We’ll be reading the play using the No Fear Shakespeare that shows the old text version beside a modern translation. You can find the link to it here. Make sure you keep track from class to class the page/website we left off from.